For investors, deciding whether to invest money into renewable-energy projects can be difficult. The issue is volatility: Wind-powered energy production, for instance, changes annually — and even weekly or daily — which creates uncertainty and investment risks. With limited options to accurately quantify that volatility, today’s investors tend to act conservatively. But MIT spinout EverVest has built a data-analytics platform that aims to give investors rapid, accurate cash-flow models and financial risk analyses for renewable-energy projects. Recently acquired by asset-management firm Ultra Capital, EverVest’s platform could help boost investment in sustainable-infrastructure projects, including wind and solar power. Ultra Capital acquired the EverVest platform and team earlier this year, with aims of leveraging the software for its own risk analytics. The acquisition will enable the EverVest platform to expand to a broader array of sustainable infrastructure sectors, including water, waste, and agriculture projects. The platform’s core technology was initially based on research at MIT’s Computer Science and Artificial Intelligence Laboratory (CSAIL), by EverVest co-founder and former chief technology officer Teasha Feldman ’14, now director of engineering at Ultra Capital. EverVest’s platform analyzes data on a variety of factors that may impact the performance of renewable-energy projects. Layout and location of a site, certain contracts, type of equipment, grid connection, weather, and operation and maintenance costs can all help predict the financial rate of return. By the time of its acquisition, EverVest had clients in the United States and Europe, including banks, investors, and developers for wind and solar power projects. Users enter information about their prospective project into the software, which would provide a detailed analysis of future cash-flow model, along with detailed statistical analysis of the project's financial risks. “It’s the strength of the data that we wanted to give to investors, banks, and developers, to get a better understanding of their assets,” Reynolds says. For example, consider a wind farm. With location data, the platform can use public data sets to calculate the last few decades of wind speed and determine the project’s overall performance. Location can also help determine the project’s profitability in the market. California could be a better market than, say, Texas or Maine. The end result is a more detailed projection of the rate of return, Reynolds says. While an electronic spreadsheet might give an average rate of return of, say, 12 percent, the EverVest’s platform would show a full analysis of the quarterly performance, including the statistical uncertainty of the rate of return. While 12 percent may be the average, the returns may vary between 4 and 18 percent. “By understanding that range of risk, you can understand the true value,” Reynolds says. EverVest (formerly Cardinal Wind) began as a CSAIL research project that was refined and developed through MIT’s entrepreneurial ecosystem before going to market. As an MIT junior in 2012, Feldman wanted to branch out from her theoretical physics coursework to focus on renewable energy. She discovered a CSAIL project, led by research scientist Una-May O’Reilly, that involved collecting and analyzing data on wind farm energy. “I showed up in [O’Reilly’s] office and begged her to let me work on the project,” Feldman says. In a year, Feldman had designed a machine-learning algorithm that collected 30 years of wind data from airports and other sites, to predict future wind power there for the next 30 years. During that time, she sought enrollment in Course 15.366 (Energy Ventures), where students from across departments plan businesses around clean technologies. Undergraduates are seldom accepted. But as luck would have it, the class wanted O’Reilly to speak about her research — and O’Reilly told them to ask Feldman. “I said, ‘Yes, I’m working on that research. You should just let me into the class,’” Feldman says, laughing. During his time as an investment banker, Reynolds dealt with funding large projects in infrastructure, energy, transportation. So Feldman’s prediction algorithm resonated immediately. “I saw her algorithm and thought of how great it would be for investors to have a more accurate way to measure the rate of return for a potential wind project investment,” Reynolds says. Joining forces, Feldman and Reynolds launched Cardinal Wind in 2013. The startup was somewhat of a “happy accident,” Feldman says. “The company took an insane amount of hard work to start and build. But by showing up in a lab and convincing them to give me a job, and then bringing the research to class, we were able to determine that there was a great opportunity and need for better financial risk analysis tools in the marketplace." 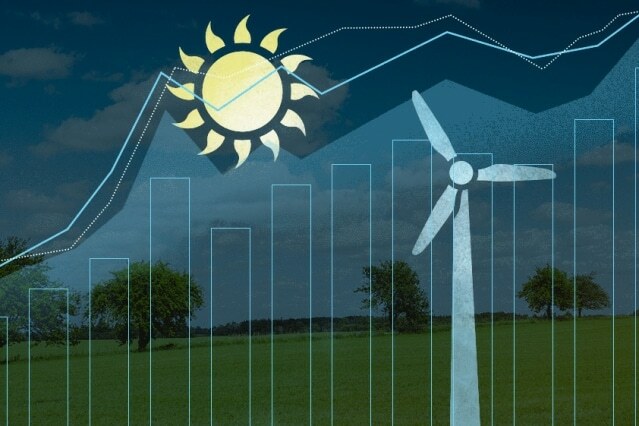 By October 2015, Cardinal Wind had expanded Feldman’s algorithm into a full cash-flow modelling platform that also included analyses for solar power projects. That month, Cardinal Wind rebranded as EverVest, and this July it was acquired by Ultra Capital. A key to EverVest’s success, Feldman says, was constantly developing the technology to fit customer needs — such as including solar power. “When we found the actual need was more than just predicting wind patterns, we departed from using that particular algorithm, and we’ve built a lot of our core platform since then,” she says.